New Thread!!!! H:CH, Goal, LS And More W:Goal, CH, Flex And More!!! 2. post ''HNM WAS HERE'' in ur 1st post on this thread so i know u read these rules. 4. u rip me off i will file mail fraud on u and find u!!! 8. trade me a sasuke-ch and itachi-goal!!!! so happy trading go and trade ur hearts out!!! Re: New Thread!!!! H:CH, Goal, LS And More W:Goal, CH, Flex And More!!! kankuro tact. . . .
i summond the kyubii.... i am 300 years old and i have been around since the first hokage who i fought once..... dont i just pwn? any questions regarding any of these forums or anything else here, pla contact me by pm or comment. so u dont want anything? if so y name those 3? Sasuke28 wrote: so u dont want anything? if so y name those 3? oh ok. well all i saw from what u have is neji-sttw, did u see anything else? dotmv but they are super low cause i have 2 of each already. lol? oh well can we work something out for the neji i want? because i think its all i want from u, BTW i traded the APW for a FLEX. thats y its i the outgoing. Sasuke28 wrote: oh well can we work something out for the neji i want? because i think its all i want from u, BTW i traded the APW for a FLEX. thats y its i the outgoing. ok well then i didnt see anything i needed but the neji. can we work something out for it? i have foils rares and more i can trade u and stuff. Sasuke28 wrote: ok well then i didnt see anything i needed but the neji. can we work something out for it? i have foils rares and more i can trade u and stuff. 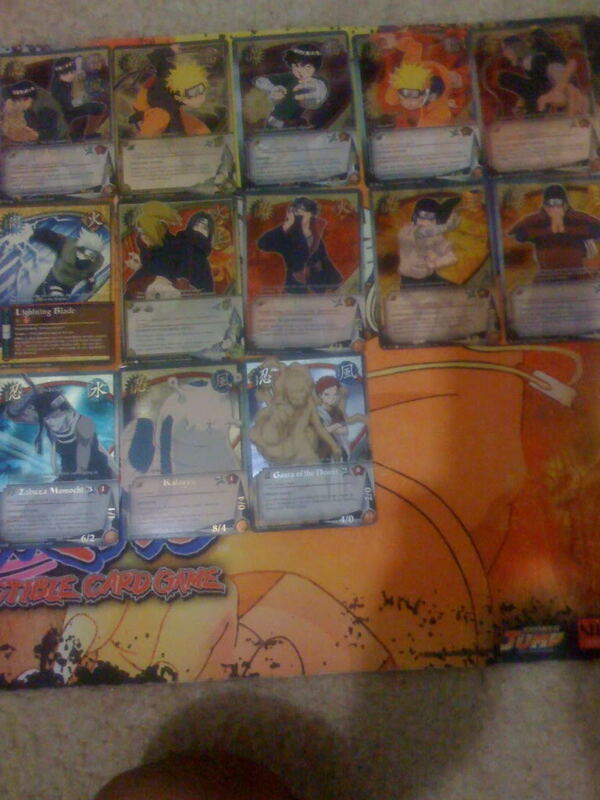 kiba aka squad lowest want i already for 2 1 foil. . . .
ok then would u do this? Sasuke28 wrote: ok then would u do this? probably but the only problem we might have is i cant send first, this is my second trade. . . . if u wouldent mind. well ok but i havent gotten the flex in yet, the guy said hes sending it to me yesterday so if i get it today ill send, if i dont ill send when i get it. so do we PM to finalize? oh keep in mind that if u dont send me my cards then i will file mail fraud on u, ive done it before i can do it again. no its not foil and i dont have those foils. talk here not on bandai we can get in trouble. i want a foil to go along with ii. . . .
neji is actually like 17 but sure ill give u a foil, i dont have alot but just name what u need. 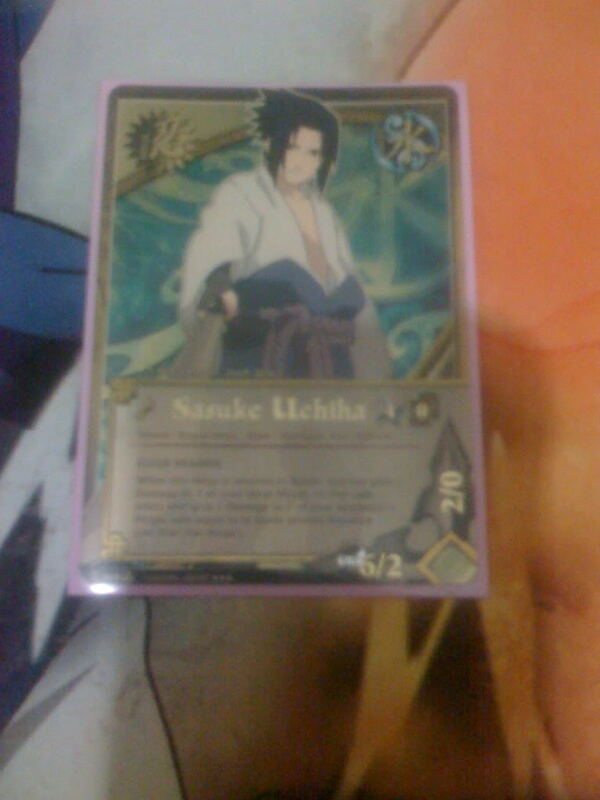 Sasuke28 wrote: neji is actually like 17 but sure ill give u a foil, i dont have alot but just name what u need. i think thats all. .
wow well most of those foils cost a lot, way more then the difference. also i dont have any of the. do u need any rares or anything? 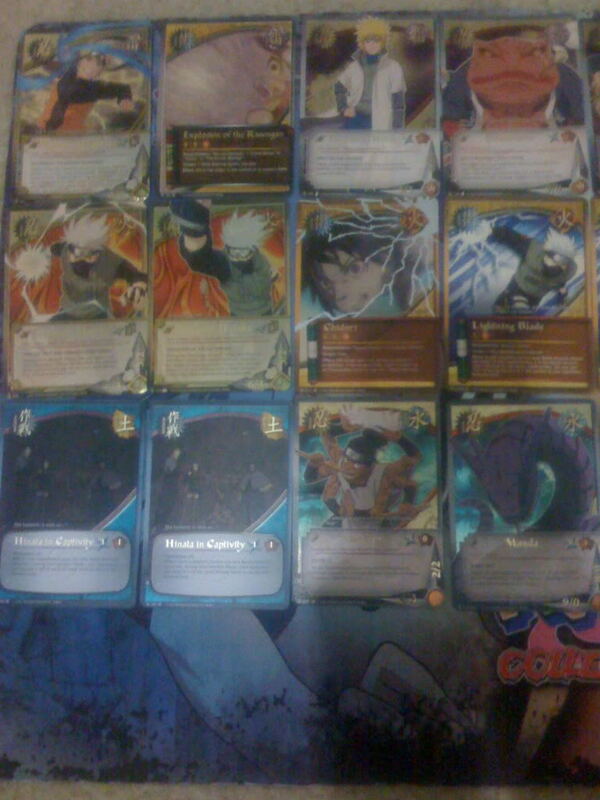 Sasuke28 wrote: wow well most of those foils cost a lot, way more then the difference. also i dont have any of the. do u need any rares or anything? well i really want hyugaa platoons . . .
i dont have any. i can give u like 2 random foils? or if u want u can keep naming stuff u want and i can tell u if i have it or not? Sasuke28 wrote: i dont have any. i can give u like 2 random foils? or if u want u can keep naming stuff u want and i can tell u if i have it or not? Sasuke28 wrote: save none of them. witch 2 randomn foils would you oofer? make a list of foils you would give me. .
well i have a lot of foils and as u can see im so lazy i didnt even list my supers. so can u just keep naming rares and stuff. 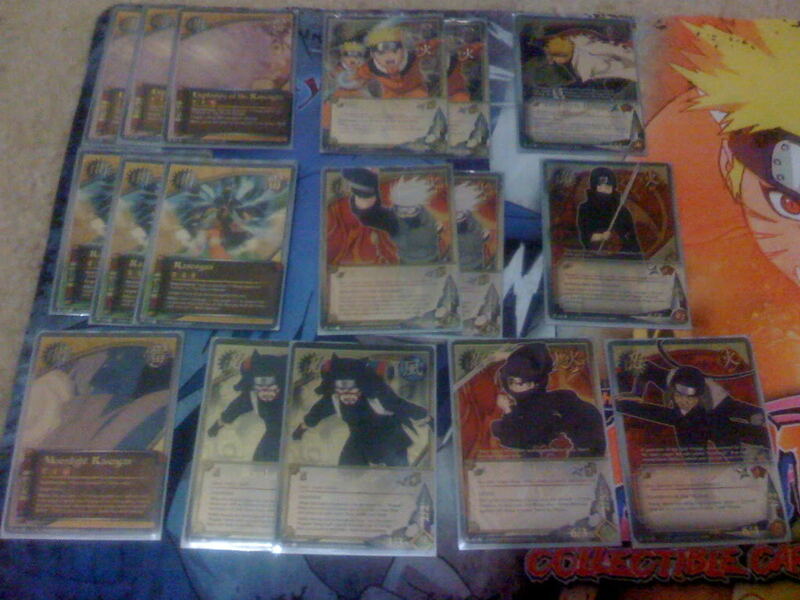 Sasuke28 wrote: well i have a lot of foils and as u can see im so lazy i didnt even list my supers. so can u just keep naming rares and stuff.